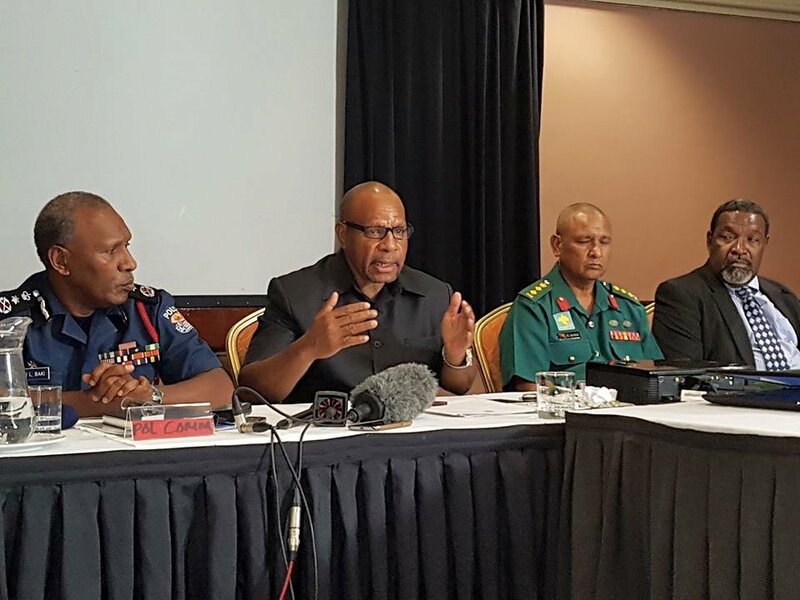 Security for all 21 member countries attending the APEC 2018 summit has been guaranteed by the PNG APEC 2018 Committee on Safety and Security (COSS) today during the launch of the Operational Order document today in Port Moresby. Chief Secretary Ambassador Issac Lupari who is the Chairman of the COSS said he was pleased and encouraged at the launch of the document which outlines tasks that all government agencies and stakeholders much accomplish in the next 12 months before the APEC meet in 2018. Mr. Lupari also confirmed the support from by representatives of the member nations who were in attendance at the launch of the operational order and called on the people of PNG as all agencies alike to work together and support the event of the Century that PNG was proud to host to the world.